It’s been almost a month since Thanksgiving, does anyone have any leftover turkey in the freezer? If you do, well this is the perfect recipe for you to use it up! If not, then grab a rotisserie chicken from the grocery store, it will work just fine. Last month I got hit with back to back illnesses – a sinus infection one week, the next week I came down with the flu. Not fun!! I can’t tell you how horrible I felt, and how helpless I felt as a mom. I haven’t been that sick in a long time and I have to admit having a 1 year old at home all day with me was really hard. All I have to say is thank goodness for moms and good neighbors and friends! My mom came to help me for a few days (seriously – hallelujah!! ), which was huge, and my friends helped me out by bringing my kids home from school and driving them to gymnastics, etc. My sweet neighbor brought me over some chicken soup one night and I literally ate it out of the tupperware container while it was still hot hunched over my counter. It was SO good and boy did it hit the spot. What I loved the most about neighbor’s chicken soup was that it had lemon and orzo in it (my neighbor who cooked this soup and brought over to me is only 16 years old by the way – how thoughtful and awesome is she?). The lemon added such a bright flavor to the soup and I couldn’t wait to make it again. I decided to make it using leftover turkey from Thanksgiving but I would definitely use cooked rotisserie chicken next time. 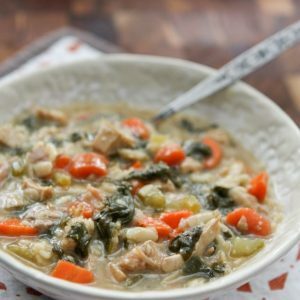 This Lemon Turkey Orzo Soup is so great for this time of year, especially while we are feeling the busyness of the holiday approaching. It’s easy to put together, it makes a lot and it heats up well if you are a household that is eating on different schedules like mine is right now. And please, if you know someone who is under the weather…bring them a bowl or two. You will truly make their day! In a large soup pot, heat 1 tablespoon oil over medium heat. Add celery, onion, garlic and carrots. Season with salt and pepper and let cook for 5 minutes until they start to soften. Add cooked turkey or chicken, bay leaf, rosemary, chicken stock and water. Bring to a boil and let simmer for about 15 minutes. Add lemon zest, lemon juice and orzo. Let cook for another 15-20 minutes or until orzo is cooked. Add torn fresh spinach 5 minutes before turning of heat and serving. Taste for salt and pepper. My little guy has had THE WORST cold this week! I think this soup would be perfect! I do have leftover turkey in the freezer!! I’ll be making this soup after the holidays! It looks so good (and comforting). Looks so incredibly delicious! Nothing like soup to make you feel better. Gah! Being sick with a peanut is the WORST. I had the tummy bug the other week while Josh was on travel…miserable! What a delicious soup! This is one of my favorites-love the lemon! Glad you are feeling better, and I totally agree that taking soup to people is the nicest thing – this one looks really good! Yeah, I still have some leftover turkey sitting in the freezer. 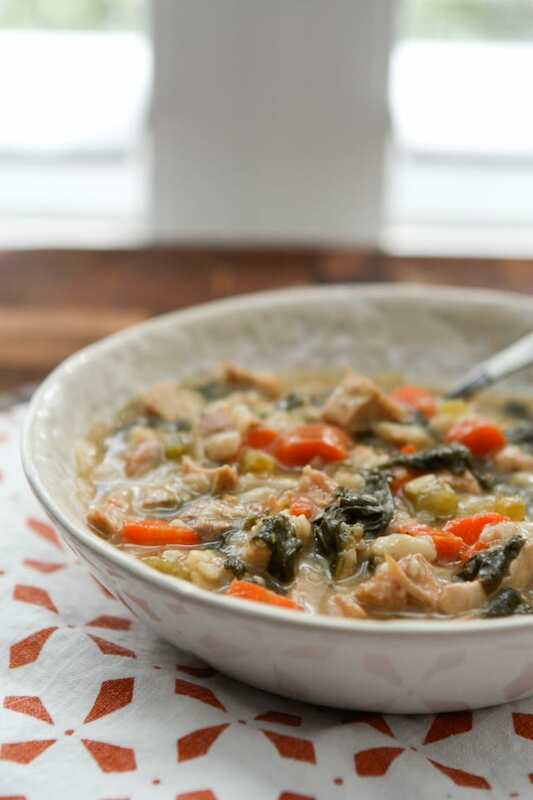 I agree this soup recipe would be perfect for using those leftovers. And cold or no cold, I intend to enjoy this yummy-looking soup. 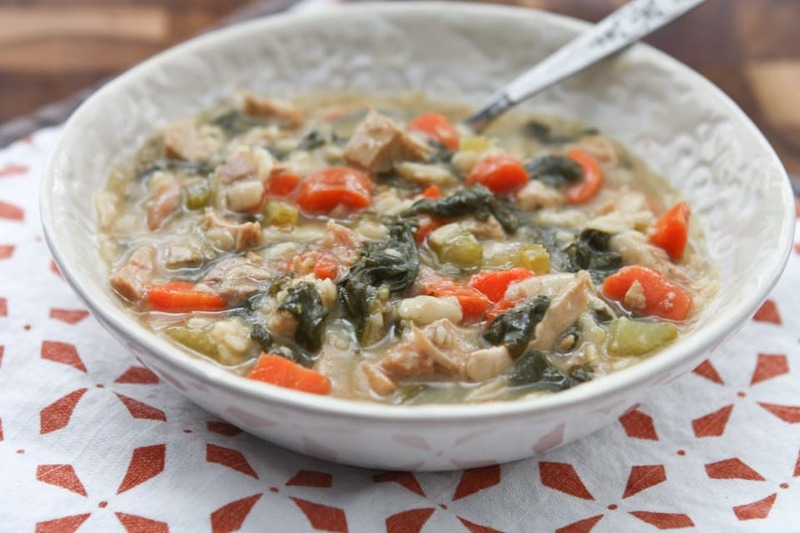 I love seeing lemon juice and spinach in chicken/turkey soups!! That’s how we’ve always had it growing up and I seriously can’t make soup without throwing in lemon juice and leafy greens. 🙂 Glad you are feeling better finally! Love all the combinations here, Aggie. I want for lunch! SO glad you are feeling better! This looks like a bowl of soup that could fix anything!!! Homemade soup is the best comfort food when you’re sick, or anytime actually! Love the orzo in this! 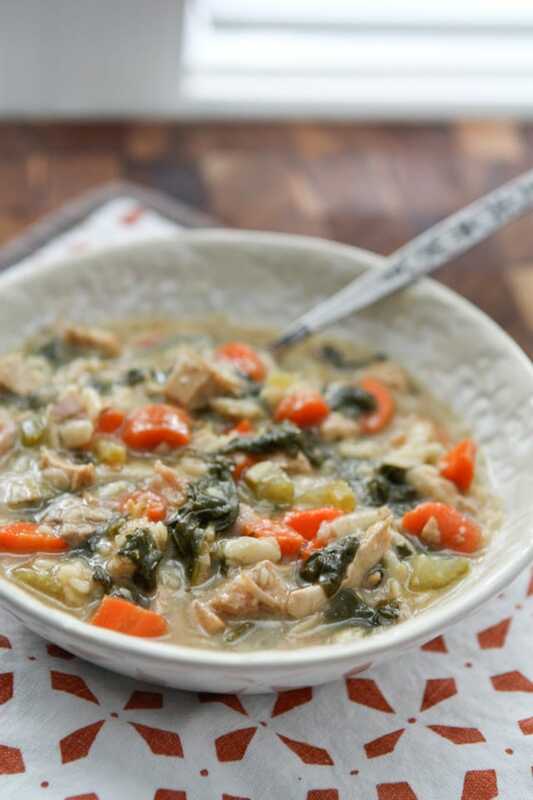 Nice soup recipe – thank you. Made this tonight and my whole family said Mom please be sure to put this FAV file!!! Thank you for sharing it was delicious. Shari! That is great, I’m so happy to hear your whole family enjoyed it. Thank you so much and have a very merry Christmas and holiday season!! You can definitely leave out – will be still good! Happy holidays! Thank you, Aggies! Yesterday I got a new multicooker (if I remember correctly it’s Redmond rmc M90) and this gonna be my first dish in it, wish me luck! Hopefully everyone will like it.